Mudras are symbolic hand gestures that play a major role in Hinduism and Buddhism. In addition, mudras are also present in the Indian dancing tradition, and are an important part of yoga, where they are not only symbolic, but should also have an effect on the body and mind. Sooner or later, anyone interested in Buddhist iconography will have to deal with mudras, since they are also a big help when identifying different Buddhas, bodhisattvas and deities (see also our blogpost: The 10 most important Buddhas & Deities). 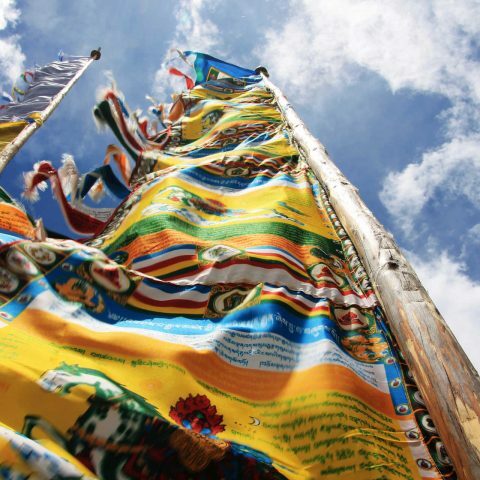 We want to introduce you here to the 10 most important mudras of Tibetan Buddhism. Depiction: The right hand touches the earth with the tips of its fingers (the palm inwards), while the legs remain in meditation posture. This mudra represents the historical Buddha Siddhartha Gautama. The Varada Mudra is the gesture for generosity, charity and compassion; it represents the granting of wishes, blessings or even pardon. It symbolizes the “gift of truth” (= the Buddhist teachings) of Buddha. 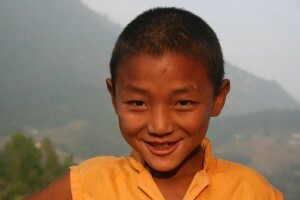 The five fingers stand for the 5 perfections: generosity, morality, patience, diligence, and meditation. 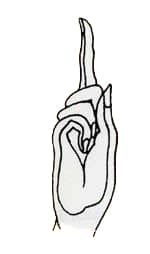 Depiction: Unlike the Bhumisparsa Mudra, in the Varada tha palm is directed outwards and hangs down. It usually also touches the right leg. The Varada Mudra is rarely seen without another mudra used by the right hand, typically the Abhayamudra (see below). The Varada Mudra is commonly found in representations of the green and white Tara. The Dhyana Mudra symbolizes the state of deep contemplation during meditation. Buddha meditated in this way under the Bodhi tree. Depiction: While the legs are crossed (meditation posture / Lotus position), both hands rest loosely on the lap, with the thumbs touching each other. However, there are also some representations in which the Dhyana Mudra is seen performed with one single hand (usually the left one): this is the half Dhyana Mudra – the historical Buddha in conjunction with Bhumisparsa Mudra. This Mudra is most commonly associated to the historical Buddha, but usually in combination with the Bhumisparsa. When both hands are used, the Dhyana Mudra can represent for example the Buddha Amithaba. 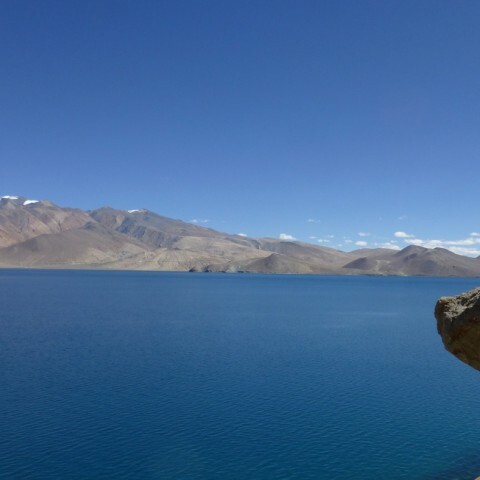 The Abhayamudra can be translated as the gesture of courage. It symbolizes protection, peace and the elimination of fear. Depiction: The right hand is raised with the palm outward towards the viewer at chest level. One finds this gesture often in conjunction with the Varada Mudra (see above). It is found in images of standing Buddhas and Tara. The fifth Dhyani Buddha Amogasiddhi is also represented with the Abhayamudra. The Buddhist teachings (Dharma) are often symbolized as a wheel (cakra). The Dharmacakra Mudra therefore represents the agency of the Buddhist teachings and is translated as the “Preacher” or “Teacher” gesture. The gesture reminds of one of the most important moments in the life of the Buddha, when he was in the park at Sarnath giving his five students the 4 noble truths and the eightfold path (the main pillars of Buddhism). Depiction: In this gesture both hands are held against the chest, the left facing inward, covering the right facing outward. The index finger and the thumb of each hand touch, forming a circle that represents the wheel of dharma. 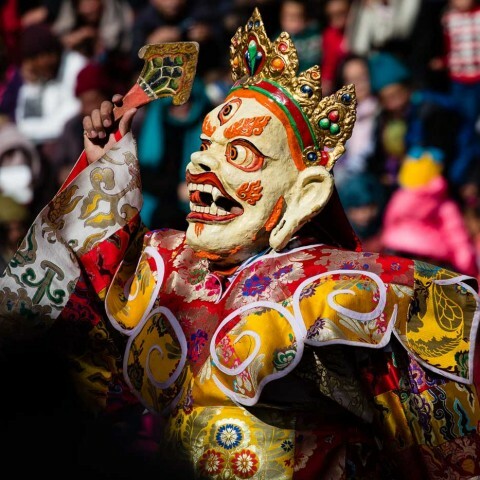 This gesture plays an important role in the representation of the Buddha Maitreya (Buddha of the future), and also Tsongkhapa (founder of the Gelugpa school), because both are said to have put the wheel of Dharma in movement again, after it had come to a stop. The Vitarka Mudra is the gesture of discussion and argument. 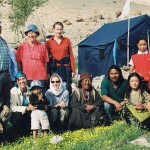 It is characteristic of those regarded as teachers and instructors. Depiction: The right arm is bent, the hand raised with the palm outwards. Thumb and forefinger touch and thus form the “Wheel of Dharma”. One finds this gesture often in depictions of the Buddha, but also in pictures and sculptures of the Tara. Not only parents use the Tarjani Mudra 😉 – in Buddhism it is also an expression of warning or admonition. Depiction: The right hand is held vertically in front of the chest and only the index finger is stretched upward while the other fingers and thumb roll into a fist. One finds this gesture especially in wrathful deities. 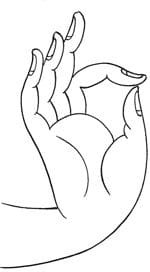 Note: In some sources, the Tarjani Mudra is interchanged with the Karana Mudra (see below). 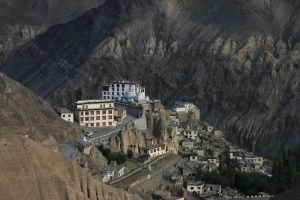 Although this Mudra doesn’t play such an important role in Tibetan Buddhism, we wanted to mention it anyway because it is very common in India’s everyday life. The Namaskara Mudra is a gesture for greeting (Namaskar is Hindi for “good day”), but also for prayer and admiration. Depiction: In this gesture, the hands are kept close to the chest in devotional attitude. The palms and fingers lie flat against each other and point upwards. This Mudra is not found in Buddha representations. 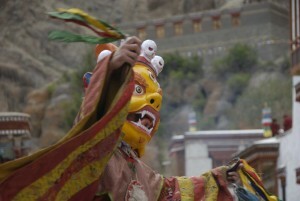 It is used only by monks, nuns or disciples, symbolizing the fact that they worship someone (e.g. Buddha). The Karana Mudra is a symbolical protection to keep demons and other negative influences at bay. Depiction: In this Mudra, the hand is outstretched vertically or horizontally and with the palm facing forward. The two middle fingers are held down under the thumb. The index and the little fingers extend upwards. The Uttarabodhi Mudra represents supreme enlightenment and should bring positive energy and vibrations. 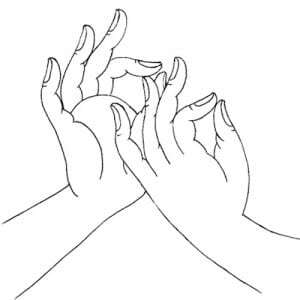 By performing this Mudra, we connect with the universal divine energy. Depiction: Both hands are folded across the chest. The two index fingers touch each other and point upwards. The thumbs are interwoven. The remaining fingers encircle each opposite hand.